Barb joins Remax Cabo Sanctuary from beautiful British Columbia, Canada. 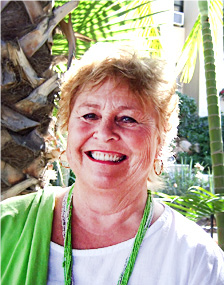 In the years prior to moving to Mexico she held successful positions in accounting and sales, but being drawn to the wonderful Mexican people, palm trees, and sunshine, the move to Los Cabos was the clear choice. For 22 years Barb has excelled in sales. Feeling fortunate to be living and working in this beautiful paradise, Barb is dedicated to listening to wants and needs, and shares a true commitment in professionally facilitating all clients in their dream home search.